Conference participants must reserve their own accommodations. In order to get the discounted rate, be sure when making reservations to indicate that you are reserving one of the rooms that has been held by the Eszterházy Károly College by writing “EKF ONK” in the “megjegyzés” (notes) field of the reservation form. The Hunguest Hotel Flóra in Eger is found near the medicinal waters of Eger, the city swimming complex, and the swimming pool. Guests of the hotel can go directly and free of charge from the hotel to the thermal baths of Eger, where they will find medicinal baths, thermal baths, swimming pools, swimming pools for children, and opportunities for massage. Guests are also able to enjoy the covered swimming pool of the Eger swimming complex free of charge. 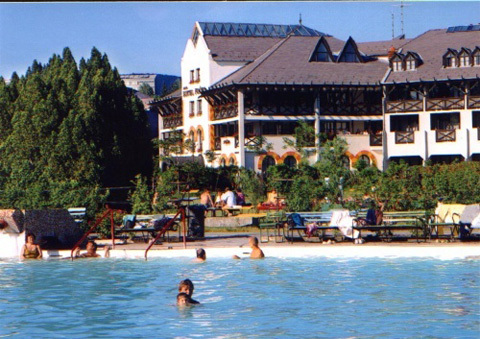 The price includes: breakfast buffet and one other meal (either the dinner buffet or a three-course lunch), unlimited use of the wellness center (the swimming pool, the children’s swimming pool, the Jacuzzi, the saunas, the diving pool, and the gravel-bedded pool) and entrance into the city swimming complex. In addition to the price of the room, there is also a tourist tax of 450 forint per night for all guests over the age of 18. The Hotel is located within easy walking distance of the most interesting sights and attractions of the city, including the museums, bars and taverns, and restaurants. Guests who are looking forward to a relaxing stay or an opportunity to indulge in sports will enjoy the nearby Bishop’s Garden, the largest part in Eger, and the nearby swimming complex and the Turkish baths with their medicinal waters. Room prices include a buffet breakfast, use of the wellness facilities, and taxes. Guests who wish to check email or browse the internet can use the internet corner next to the reception free of charge, 24 hours a day. Breakfast and dinner buffet with the associated service fee, as well as use of the renovated wellness facilities, which include an indoor swimming pool, whirlpool baths and amusement pools, a Finnish sauna, an organic sauna, steam baths, a salt room, ice baths, and a combination sauna and weight room. Bathing gowns can be rented for 1.200 forint. Cars can be left in the guarded parking lot for 1.400 forint per night. The hotel is located in the old city of Eger, near the Turkish baths (famous for their medicinal waters), the city swimming complex, and the Bitskey Aladár Swimming Pool, a mere two-minute walk from the northern entrance to the Eger castle. 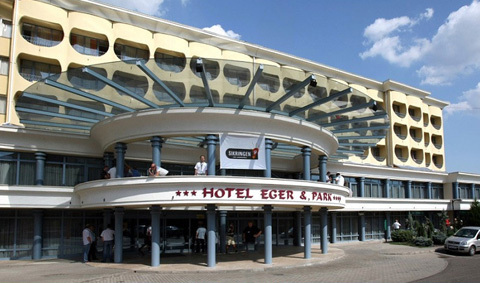 All of the most interesting sights of the city of Eger are within easy walking distance of the hotel. 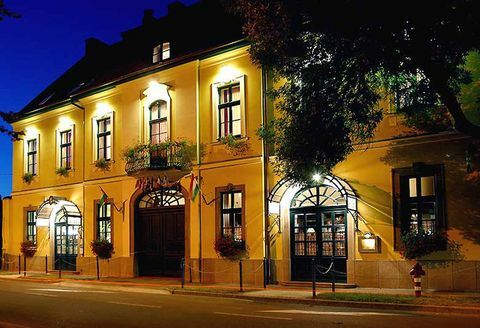 At the Hotel Aqua Eger guests will enjoy an atmosphere characteristic of the city of Eger. You will enjoy hospitality, fine dining, fine wines, medicinal waters, exciting excursions, recreation and relaxation. Each of the rooms, which come with numerous comforts and are unusually spacious, has a television, free internet connection, and a telephone that can be used for wake-up calls. Refrigerators are available on demand. The rooms are air conditioned and the beds come with curative mattresses, guaranteeing our guests a restful stay. 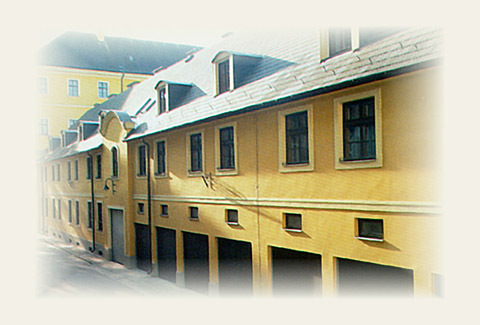 The hotel also provides a closed parking area in which guests can safely leave their cars. 3300 Eger, Foglár út 6. Lodging is 2.500 forint per person, per night. Breakfast is 700 forint per person.